Once a month I deep condition my hair with a hair masque to moisturize my hair. Ever since I've colored my hair I feel that my curls are very dry and frizzy lately. So I found this awesome 10-in-1 Renewal System Hair Masque from Shea Moisture and I loved it. The hair masque is made with marula oil and biotin and both play an important function in the hair follicles. Marula oil helps the hair elasticity, while biotin provides nutrients to keep your hair stronger and thicker. I love the smell of this product and the texture is lite and creamy. Most importantly, I love the healthy list of ingredients this product provides for my curls. Outcome: My curls felt softer and looked healthy and hydrated after the hair masque. My curls were no longer dry but renourished and bouncy. This product definitely worked for my hair texture. The 10-in-1 Renewal System deep conditioned my curls leaving them moisturized and rejuvenated. You can find more information about this product here, 10-in-1 Renewal System. Renewing Argan Oil of Morocco Conditioner, by OGX is my go to conditioner. Besides my color protective conditioner, this is my daily conditioner I use every night to wash and condition my curls. How to use: In the shower I use a wide toothed comb and comb my hair out thoroughly. I put a vast amount of conditioner throughout my hair and let it sit for a couple minutes. I then comb out my hair again with the product in it, then rinse. Outcome: I love the smell of this conditioner and the texture is not too heavy. My curls love it! Sometimes I even keep the argan oil conditioner in my hair as a leave-in-conditioner because it keeps my curls soft and moist. You can find out more about this product here, Renewing Argan Oil. Mixed Chicks changed my hair's life! I discovered this product during my last year of college and it was the best thing to ever happen to my hair. The product is called Mixed Chicks so it's for women like me who are interracial. However, I recommend this product to all women with curls. Mixed Chicks is a leave-in-conditioner that you do not wash out, rather you let it set and allow your curls to soak up the product. Outcome: Mixed Chicks is the best leave-in-conditioner for my hair texture. It leaves my curls soft and defines my curl shape. My hair is never hard or crunchy after using Mixed Chicks. This product truly defines and moisturizes my curls. 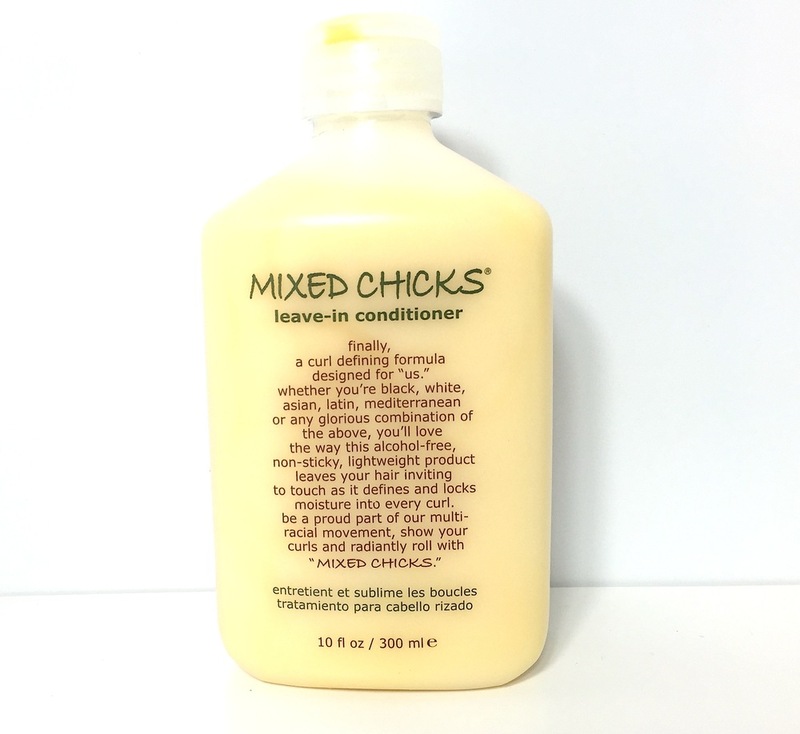 Find out more about this product here, Mixed Chicks. WORK - O U T Wednesdays!